Performance this, performance that; when did luxury buyers sprout such a lust for speed that manufacturers decided to toss comfort and luxury out the window? 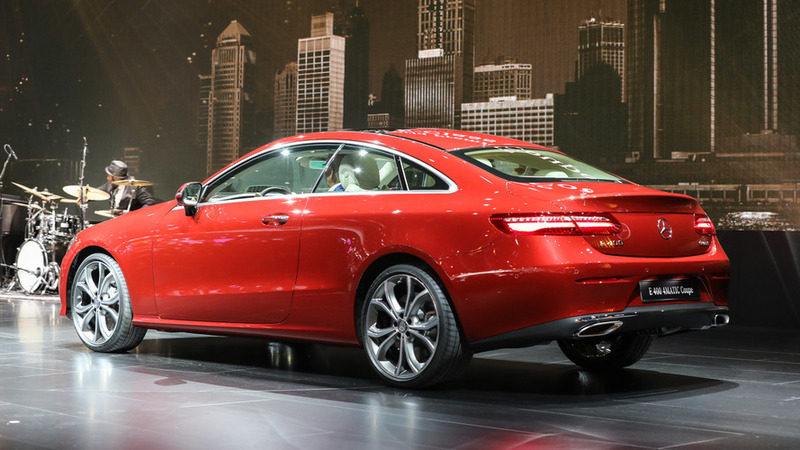 Enter the Mercedes-Benz E-Class Coupe with 4Matic all-wheel drive. While it may not be the sportiest option in its class, nor even the quickest, Mercedes’ latest iteration excels in comfort, drivability, and over-the-top luxury. It’s exactly what you’d want in a two-door vehicle that looks this good. Like the S-Class, the C-Class, and most other Mercedes vehicles over the past few years, the E-Class has undergone a healthy makeover. The styling, particularly in the coupe layout, is sleek and simplistic, and makes the E-Class a more attractive offering than ever before. It’s not over-the-top stunning, admittedly, but it’s hard to deny its shapely profile and not love the Panamericana corporate grille. The two design elements work beautifully in tandem. Even for this segment, the E-Class is especially opulent. High-quality materials like creme-colored leather seats and lacquered wood make the cabin a wonderful place to be. There are some questionable design elements, though. The $1,300 piano black lacquered treatment, which extends from one side of the dash to the other, looks tacky. The many toggles behind the steering wheel, meanwhile, make the otherwise smartly laid-out driving environment cluttered and difficult to manage. The wipers, cruise control settings, turn signal, gear selector, steering wheel adjuster, and paddle shifters all call the backside of the steering wheel home. Sure, some safety systems like automatic emergency braking and even crosswind stabilization, uniquely enough, do come standard. But if you want the whole enchilada in terms of safety, prepare to dish out some serious cash. 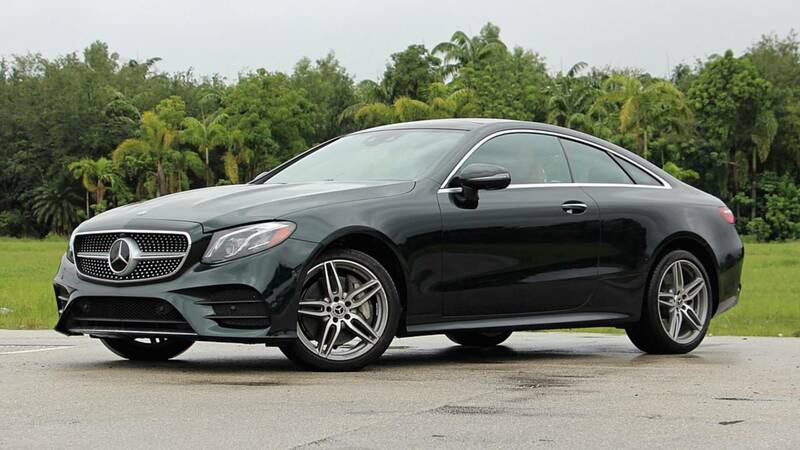 Only when equipped with the optional $9,350 Premium 3 Package does the E-Class have all the safety features you’d want and expect at this price point – active parking assist, lane departure warning with active steering assist, rear cross-traffic alert, and blind-spot assist, among others. At 20 miles per gallon city, 26 highway, and 22 combined, the E-Class coupe is relatively average for its class, if not a bit below. The Audi A7 gets 20 in the city, 29 highway, and 23 combined, while even the aging BMW 640i xDrive 19 city, 28 highway, 22 combined. Relative to competitors like the late BMW 6 Series and the four-door Audi A7 (few luxury coupes remain on the market), the Mercedes-Benz E400 starts at a respectable $61,400. That price makes it cheaper than either alternatives ($70,200 / $69,700) – but options quickly inflate that number. This particular test vehicle topped off at a hefty $84,785. The most expensive option was the Premium 3 Package, which included things like active parking assist, wireless charging, and a number of safety features like lane keep assist and automatic emergency braking. The Burmester surround audio system was another $5,400, and even the piano black lacquer treatment around the dash was $1,300.